J/43919 Ordinary Seaman Andrew Lynas was killed in action 1 June 1916 at the Battle of Jutland. 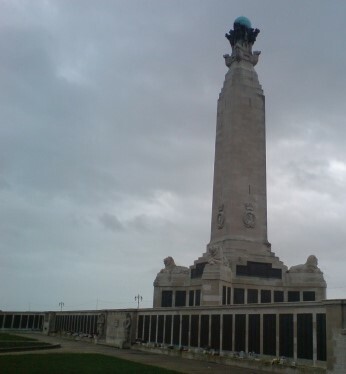 He was lost at sea and is commemorated on the Portsmouth Naval Memorial. He was 20 years old and is commemorated on the Evenwood War Memorial, the Roll of Honour, St. Paul’s Church, Evenwood and the Memorial Plaque in the Workmen’s Club. George Milburn Proud was their step-brother, son of Annie to an earlier marriage. In 1901, the family lived at 18 Chapel Street, Evenwood and 45 year old James worked as a coal miner (hewer). By 1911, James worked as a coal miner (shifter) and 15 year old Andrew worked as a colliery labourer. 31 May 1916: over 250 British and German warships were steaming on convergent courses to a rendezvous unanticipated by the Germans, off the Jutland coast of Denmark. Admiral Sir John Jellicoe was Commander of the British Grand Fleet which consisted of 28 Dreadnoughts, 9 battle cruisers, 8 armoured cruisers, 26 light cruisers, 78 destroyers, a seaplane and a minesweeper. Admiral Reinhard Scheer commanded the German High Seas Fleet, consisting of 16 Dreadnoughts, 6 pre-Dreadnoughts, 5 battle cruisers, 11 light cruisers and 61 destroyers. Both sides had submarines and air ships but these did not play a part in the conflict. HMS Ardent took part in the night battle of the 31 May/1 June. The Germans proved to be better equipped for night fighting with better co-ordination, star shells and searchlights The British destroyers were painted black, a bad colour for night fighting and after the battle they were repainted grey like their German counterparts. Whilst they attacked bravely their tactics were poor, usually approaching too close and launching their torpedoes at the wrong angles, enabling the Germans to fire first and avoid the torpedoes. The 4th Destroyer Flotilla encountered the German van, including the 1st Battle Squadron. Westfalen sunk HMS Tipperary, HMS Spitfire collided with Nassau and Elbing was accidentally rammed by Posen and sunk later. At 11.40pm HMS Broke challenged Rostock who opened fire causing her steering to jam and ram HMS Sparrowhawk. HMS Contest then ran into the back of HMS Sparrowhawk. Rostock was torpedoed and sunk for her troubles and Westfalen sank HMS Fortune. HMS Black Prince, which had been lost, arrived just after midnight and was blasted at close range by four battleships causing her to explode. Moments later Westfalen sank the HMS Ardent. Further engagements took place into the early hours of the morning but the German High Seas Fleet broke through and steamed for home. Jellicoe was unable to intercept the German fleet which reached port by early afternoon. British losses: 3 battle cruisers – Indefatigable, Queen Mary & Invincible; 3 armoured cruisers – Black Prince, Defence & Warrior; 8 destroyers – Ardent, Fortune, Nestor, Nomad, Shark, Sparrowhawk, Tipperary, & Turbulent. German losses: 1 battle cruiser – Lutzow; 1 armoured cruiser – Pommern; 4 light cruisers – Elbing, Frauenlob, Rostock & Wiesbaden; 5 destroyers – S35, V4, V27, V29 &V48. “The battle cruisers Queen Mary, Indefatigable and Invincible and the cruisers Defence and Black Prince were sunk. The Warrior was disabled and after being towed for some time had to be abandoned by her crew. “It is not known when Black Prince, of the same squadron, was sunk but a wireless signal was received from her between 8 and 9 pm. “During the night the British heavy ships were not attacked but the Fourth, Eleventh and Twelfth Flotillas under Commodore Hawksley and Captains Charles J. Wintour and Anselan J. B. Stirling delivered a series of very gallant and successful attacks on the enemy causing him heavy losses. It was during these attacks that severe losses in the Fourth Flotilla occurred including that of Tipperery with the gallant leader of the Flotilla Captain Wintour. He had brought his flotilla to a high pitch of perfection and although suffering severely from the fire of the enemy a heavy toll of enemy vessels was taken and many gallant actions were performed by the flotilla. Two torpedoes were seen to take effect on enemy vessels as the result of the attacks of the Fourth Flotilla and being from the Spitfire and the other from either Ardent, Ambuscade or Garland. Officers and men were cool and determined with a cheeriness that would have carried them through anything. The heroism of the wounded was the admiration of all. The Kaiser claimed victory, known to the Germans as “the Victory of the Skagerrak.” Jutland was undoubtedly a material victory for the German High Seas Fleet whilst being a strategic victory for the British Grand Fleet. The Germans had inflicted heavier losses on the numerically superior Grand Fleet and had escaped near destruction but had failed to break the British blockade or control of the North Sea. The engagement had not altered the balance of power in any meaningful way. The relative strength of the navies was 28:16 before the battle and 24:10 afterwards – both in favour of the British Fleet. The Kaiser would not release his High Seas Fleet to do battle since he could not risk challenging and being defeated by the British fleet so the German navy stayed in port. Submarine activity was resumed in earnest. Ultimately, the inactivity of the sailors led to disorder beginning in August 1917 and full scale mutiny by November 1918. “Scheer was rapidly converging with the rear of the British fleet and when at 11.30, the fight broke out afresh, the destroyer flotillas had to face a fiery test. At about 11.20 Captain Wintour, leading the 4th destroyer flotilla in the Tipperary, became aware of a line of ships to starboard, approaching on a converging course. Unable to make out whether they were friend or foe, Wintour ventured to give the challenge, and immediately a rapid and accurate fire was poured upon him. The Tipperary burst into flames but managed to fire 2 torpedoes, as did also 4 other destroyers and the Broke. The destroyers in the rear then opened fire and gaps which appeared in the line of searchlights indicated that several shots had got home. The identity of the enemy was soon revealed. It was the 2nd scouting group, part of the advance screen of the High Seas Fleet. In face of the destroyer attack it turned away and tried to escape by passing through the line of the leading battle squadron. The Frankfurt and Pillau were successful but the Elbing was badly rammed by the Posen and had to be abandoned, sinking later. But the Tipperary had received her death blow. The first salvo had swept her bridge away and she was rapidly settling down. The Spitfire, next astern, her torpedo davits put out of action, turned back to her leader’s assistance and in doing so ran up against what she took to be 2 German cruisers bearing down upon her. One of these altered course to ram, and the 2 ships met almost bow to bow. As they struck the enemy fired on the Spitfire and although the shots passed over the little vessel, the blast blew her bridge and searchlight platform away and also her forward funnel. But somehow she managed to get clear and eventually reached port little better than a wreck, carrying with her a mass of plating, ripped from the side of her opponent. The escapade was truly remarkable, and it became more so when later information revealed that the ship she encountered was not a cruiser, but the battleship Nassau. Meanwhile Commander W. L. Allen in the Broke, had taken the Tipperary’s place and gathered the Sparrowhawk, Garland, Contest, Ardent, Fortune and Porpoise in line astern. In this order they hurried south, hoping to re-engage the enemy. They had not gone far before a large ship loomed up on Allen’s starboard bow (11.40), heading to cross his bows. He challenged, but in reply a blaze of searchlights flashed out, followed by a burst of rapid fire. The Broke immediately swung to port to bring her torpedo tubes to bear. The Sparrowhawk followed suit, but the Broke, put out of control by a salvo, rammed her amidships and the Contest, following close behind, failed to clear and cut a large slice off the Sparrowhawk’s stern. Both the Broke and the Sparrowhawk were put out of action, but their attack had had its effect. At least one torpedo had found a mark, and the light cruiser Rostock, flagship of the enemy destroyer commander, crawled away, badly damaged. Later she was abandoned and sank at 3.45 a.m. When the Broke was put out of the fight Commander R. B. C. Hutchinson, in the Achates, came up and took command. Followed by the Contest, Garland, Ardent, Fortune and Ambuscade, he headed south in the wake of the battle fleet. Soon he espied some battleships ahead, and thinking at first that they were British, he held his fire. But he was mistaken, and, coming under heavy fire, was driven off by cruisers to the eastward. Meanwhile, the Fortune had come under fire; a salvo had caught her amidships and she reeled away burning fiercely and sinking fast. In coming to her aid the Porpoise was struck by an 8-in. shell and put out of action. Whilst the destroyers were harrying the German fleet as it cut across the British rear, another incident occurred which involved the loss of a British ship. The Black Prince, having lost touch with her division after the action in which the Defence was sunk, fell behind. As she steamed south, doing her best to catch up, she suddenly found herself abreast of the German centre. In a moment she was caught in searchlight beams and before she had time to get her guns into action, was hit repeatedly and sent to the bottom with all hands (12.10) a.m. This incident took place to close to the destroyer Ardent, which also having lost touch with the rest of her flotilla, was steaming alone on a southerly course. Suddenly she saw smoke ahead, and, thinking it belonged to one of her consorts, steamed towards it. Then the huge form of a German ship loomed up, and without hesitation she rushed into attack, firing a torpedo as she closed. At that moment a blaze of searchlights split the darkness, revealing four German battleships in line ahead. From out of the darkness their guns rang out and in a minute the plucky little destroyer was reduced to scrap-iron. The enemy proceeded on his course, leaving the Ardent to sink (12.19). All her compliment, save only her commander Lt.-Commander Marsden and one man perished. With the loss of the Ardent, the work of the 4th flotilla came to an end. Alone it had tackled the whole of the German battle fleet, never flinching, until all its torpedoes were exhausted and nearly every ship a wreck. 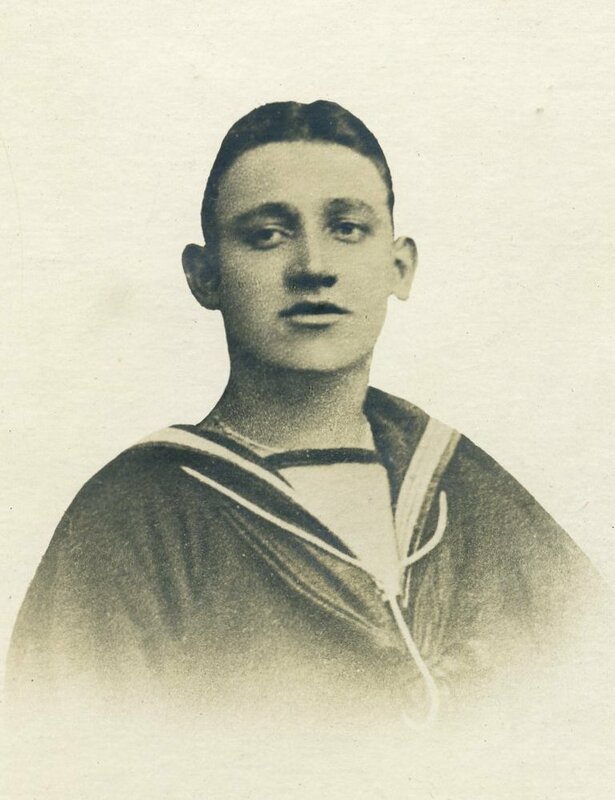 Leading Seaman Thomas Clifford was one of those men struggling for their lives below him. Ahead of the doomed Fortune was the Ardent, commanded by Lieutenant Commander Arthur Marsden. They too managed to despatch a torpedo. Lieutenant Commander Gordon Coles, HMS Ambuscade confirmed that the Ambuscade also fired a torpedo in the general direction of the German ships. Once again several ships failed to fire their torpedoes for the usual melange of reasons. Perversely, those that did were ill rewarded for their efforts. Although some torpedoes were sighted were seen passing through the German battle fleet, there were simply not enough of them to render hits a certainty and a little more subtle manoeuvring took the dreadnoughts past unscathed. The claims of both the Ambuscade and Ardent to have scored hits seem to be unjustified, although several 4-inch shells certainly did cause damage and casualties to the bridge of the Oldenburg. This may have been what the harassed officers saw in the split seconds of action under the dazzling strobe effects of a night battle. Following their encounter the Ardent lost touch with the remnants of the 4th Flotilla. It was clear to Marsden that his ship would soon sink. Calmly he began to make his preparations for the end; hampered by the fact that he had been wounded in the leg, he made his way aft from the bridge. The morale of his men remained high but it soon became evident that it would be difficult to get them away safely. “The ship was nearly gone so it only remained for us to try and save as many as we could. A terrible scene of destruction and desolation was revealed to me as I walked aft, with some difficulty. All boats were in pieces. The funnels looked more like nutmeg graters. The rafts were blown to pieces and in the ship’s sides and deck there were holes innumerable. In the very still atmosphere the smoke and steam poured out from the holes in the deck perfectly straight up into the air. Several of my best men came up and tried to console me and were all delighted that we at length been in action and done our share. But many were already killed and lay around their guns and places of duty. Most of the engine room and stokehold brigade must have been killed outright. These few moments of peaceful contemplation were cruelly cut short as the Germans found them and once again opened fire. The bedraggled remnants of his crew found themselves adrift in the waves with very little prospect of survival in the cold night waters. “As the smoke and steam cleared off I could see many heads in the water – about 40 to 50 I should think. There was no support beyond lifebelts, lifebuoys and floating waistcoats, so I was afraid few of us could possibly survive, especially as I realised that all the destroyers has gone on and no big ship would dare stop, even if they saw us in the water. I spoke to many men and saw most of them die one by one. Not a man of them showed any fear of death and there was never a murmur, complaint or cry for help from a single soul. Their joy was and they talked about it to the end, that they and the Ardent had “done their bit” as they put it. By 00.30 the 4th Flotilla had shot their bolt. They had conspicuously failed to launch co-ordinated mass torpedo attacks but had undoubtedly fought courageously as valiant seamen all too literally stuck to their guns. Then line of their resistance was clearly delineated, as the sky lit up for miles around with searchlights, star shells, fires and explosions. Unfortunately, in all the confusion and heavy press of events, not one of the destroyers’ commanding officers had had the time or presence of mind to wireless in formal contact reports to Jellicoe. During the engagements they had held the future of the High Seas Fleet within their grasp but in failing to launch co-ordinated attacks or to report the presence of the German dreadnoughts, they had allowed it to slip through their fingers. For all their efforts they had achieved little of significance. Lieutenant Commander Marsden was picked up at around 06.00. There was only one other survivor from Ardent’s crew. J/43920 Ordinary Seaman William Carrick and his good friend J/43919 Ordinary Seaman Andrew Lynas both perished. William Carrick’s body was found off the coast of Norway and interred at Farsund Cemetery. Andrew Lynas was lost at sea. 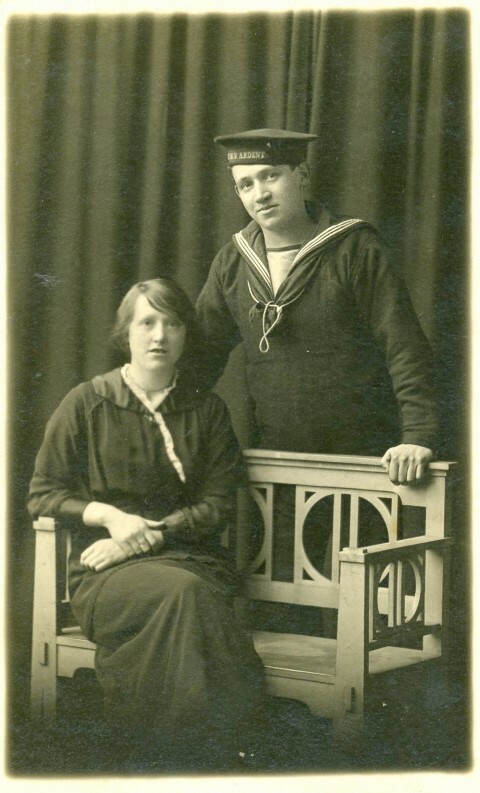 Ordinary Seaman A. Lynas was awarded the 1914-1915 Star, the British War and Victory medals. In the North Sea naval battle Evenwood lost three of its lads. They were Wm. Carrick, son of Mr. and Mrs. Joseph Carrick, South View; Andrew Lynas, son of James Lynas Chapel St. and John W. Wren, son of Mr. and Mrs. Wren Copeland Row. John H. Raine, son of Mr. and Mrs. Frank Raine and who was killed in France on 24 May, leaves a widow and two children. In honour of the fallen ones memorial services were held at St. Paul’s Church on Sunday afternoon and at the Wesleyan Church at night. Both were overcrowded. The village band played “Lead, kindly light” and the Dead March in “Saul” and the Boy Scouts sounded the “Last Post”. “William Carrick and Andrew Lynas went down with the torpedo boat “Ardent”. The exploits of this little vessel in the big battle were in accordance with the very highest traditions of the British Navy. She and her wonderful crew will never be forgotten in the pages of history. She is said to have sunk a huge German warship many times her own size and was in the thick of the fight until she disappeared literally knocked to pieces. The two lads named here were with us only a week or so before the battle looking hearty and well. William Carrick was for some time a member of our Parish Church choir and a very useful and popular member too. 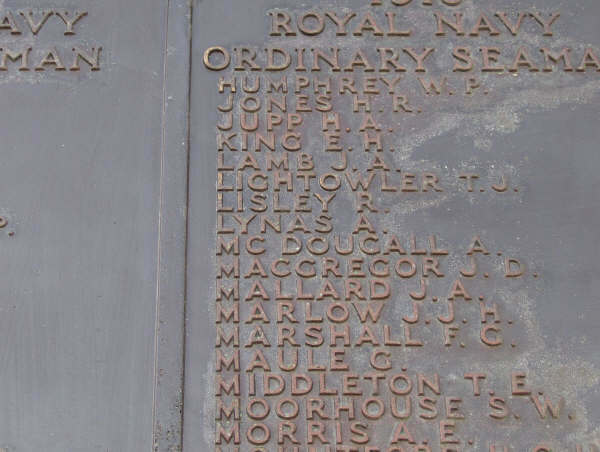 Ordinary Seaman Andrew Lynas is commemorated on the Portsmouth Naval Memorial. It bears the names of about 10,000 sailors of the First World War who have no known grave, the majority of whom were lost at sea. Similar memorials are located at Chatham and Plymouth, the 2 other manning ports in Great Britain.